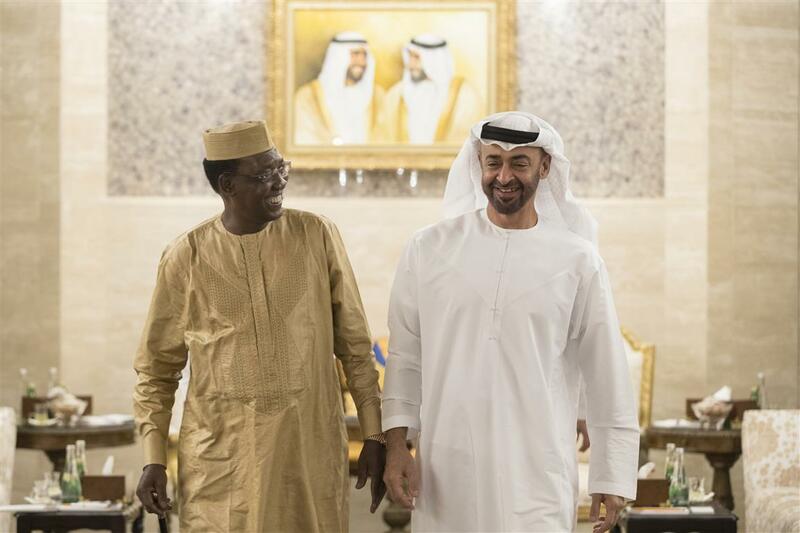 His Highness Sheikh Mohamed bin Zayed Al Nahyan, Crown Prince of Abu Dhabi and Deputy Supreme Commander of the UAE Armed Forces, yesterday received Idriss Deby Itno, President of the Republic of Chad, who is currently visiting the country. His Highness Sheikh Mohamed welcomed the Chad President and his accompanying delegation and expressed his happiness at the meeting. 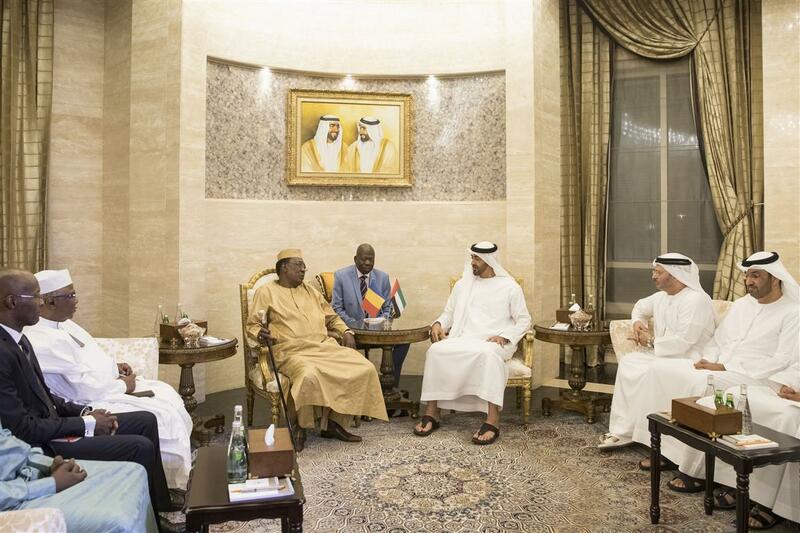 During the meeting, His Highness Sheikh Mohamed bin Zayed and President Deby discussed ways to enhance cooperation between the UAE and Chad, and ways of developing relations to serve the two countries' common interest. The two sides reviewed aspects of joint work, ideas, projects, and opportunities that would achieve their mutual interests, and the possibility of benefiting from the experiences of the two countries in many fields, especially with regard to the establishment of economic partnerships, development programmes, and successful projects. Sheikh Mohamed stressed the keenness of the UAE under the leadership of President His Highness Sheikh Khalifa bin Zayed Al Nahyan to strengthen relations and intensify dialogue to reach a high level of cooperation and joint action. 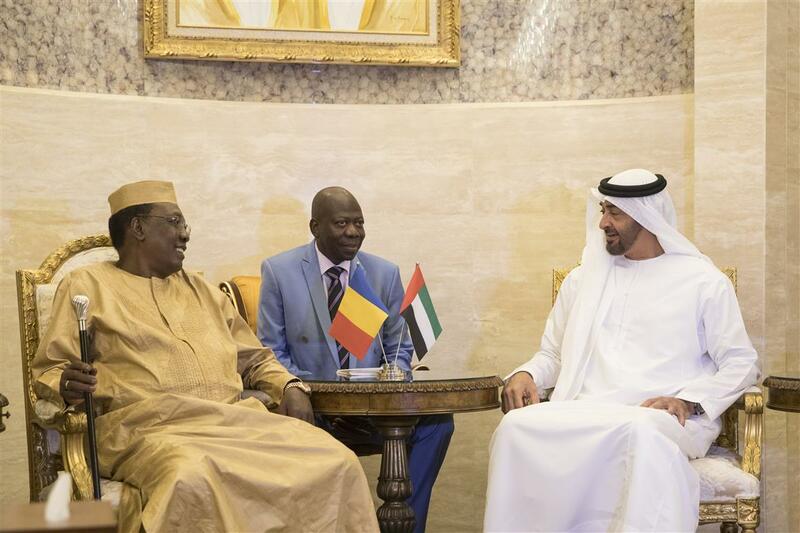 The Chadian President expressed his happiness over his visit to the UAE, and said that he also wished for further development and growth in bilateral interests. His Highness Sheikh Mohamed and President Deby also discussed the latest regional and international developments, especially political developments in Libya, and ways to support security and stability efforts, as well as the issue of extremism and terrorism. The meeting was attended by Dr. Anwar bin Mohammed Gargash, Minister of State for Foreign Affairs, Dr. Sultan bin Ahmad Sultan Al Jaber, Minister of State, Ali bin Hammad Al Shamsi, Deputy Secretary-General of the Supreme National Security Council, Mohamed Mubarak Al Mazrouei, Under-Secretary of the Crown Prince’s Court in Abu Dhabi, Hissein Brahim Taha, Chadian Minister of Foreign Affairs, and a number of officials accompanying the Chadian President.